My contribution to this weeks challenge.....love this photo of my husband taken back in August on holidays in Noosa - just chilling, we had no plans and took each day as it came, we walked, talked and relaxed for 6 days - so so good! I can just feel the peace that was in the air... love this photo! Haunting. Love the grain. Lovely composition. 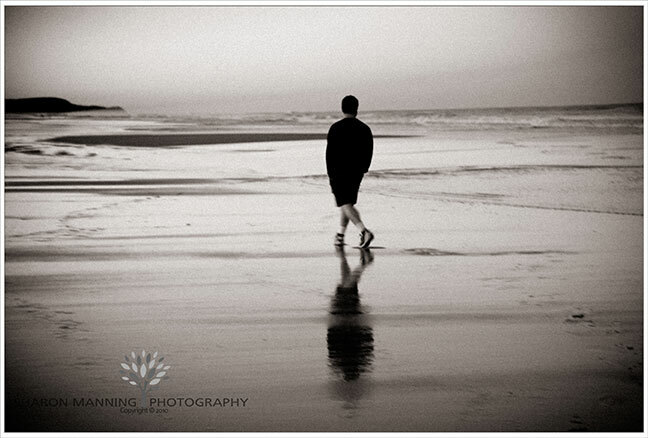 Nothing beats a beach photographed in black and white! Beautiful. I love how the focus is just on your husband...it really draws you in. The peaceful aura of this shot is amazing. The water and the reflections on the sand are gorgeous. You really don't need words for this picture! IT's amazing!